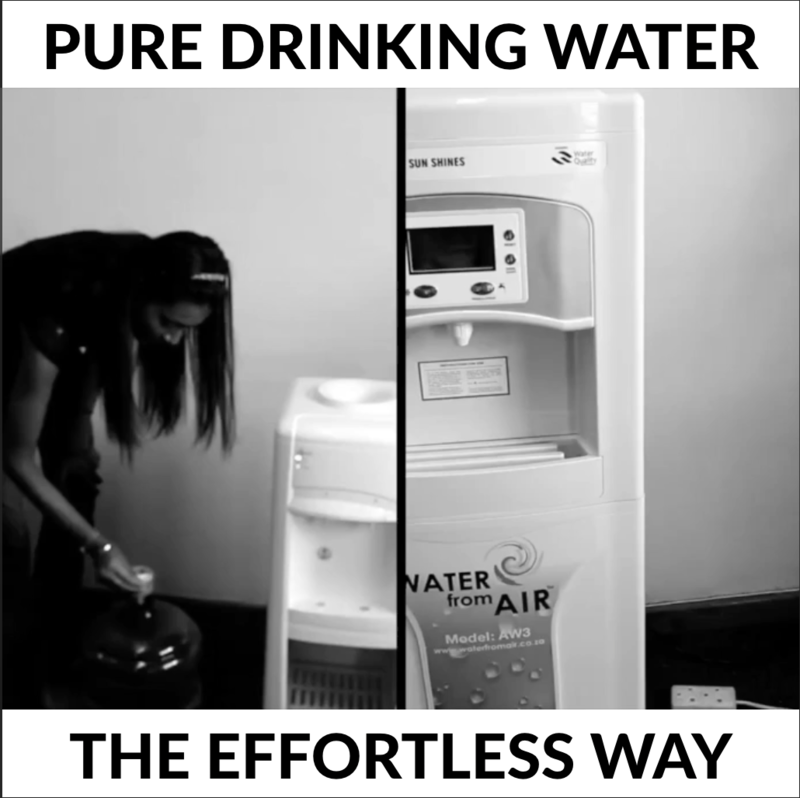 We provide homes, restaurants and offices with machines that make Water from Air. 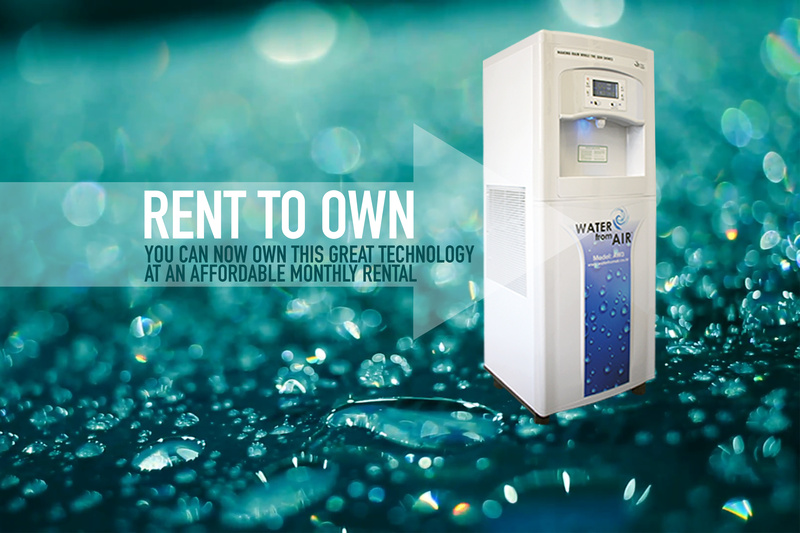 This is your opportunity to own your very own water making machine at an affordable price. Tired of old style water coolers and endless refills in the office…this is your time for change. Our rental machines come with a full service plan for the first year. This means that our customers get healthy, pure drinking water at home or in the office without the hassle of storage and carrying bottles. THIS OFFER IS UNFORTUNATELY ONLY AVAILABLE TO COMMERCIAL CLIENTS…WE ARE WORKING ON A DEAL FOR PRIVATE HOME OWNERS. PLUG IN…PRESS THE BUTTON AND DRINK! R650 processing fee for documents and processing the rental etc. If you’re sure of your choice click on the link, fill out and submit the RENTAL CREDIT APPLICATION form to katie@customcapital.co.za.